After my blog yesterday on how the Gershon Efficiency Programme is one gigantic delusion, several people asked if I'd properly understood the Public Accounts Committee meeting where it emerged. Indeed, so extraordinary is the idea that I began to doubt my own sanity. Again. Fortunately, the (uncorrected) oral evidence has been published, so we can all read the actual script (question 88 onwards). "Prior to the Gershon Review, the major Departments already had efficiency projects underway or planned and most of the targeted £21.5 billion of efficiency gains will come from these projects." "Q88 Greg Clark: Of the £21.5 billion savings, how much of those will come from projects that existed before the Gershon Review? Mr Oughton: A significant element will result from projects which started before Gershon. Q89 Greg Clark: Does "significant" mean "most"? Q90 Greg Clark: Just on that point, if you turn to page 19, paragraph 1.15, "Prior to the Gershon Review, the major Departments already had efficiency projects underway ... and most of the targeted £21.5 billion ... will come from these projects". So it is "most". Greg Clark: You said "I would not say most"
Q91 Chairman: Did you say "significant" or "most"? I thought you said "significant" and you now say "most". It really needs the Marx Brothers to do justice to a script like this, and Mr O had to reach for the report to steady himself. Mr Oughton: I agree with the report. I signed off the facts of the report. "Q100 Mr Williams: This is why it is a bit of an illusionary thing, is it not? How far has the Gershon Review contributed, as opposed to trying to identify what was already happening? If the bulk of the investment was already underway...what is the review worth? Mr Oughton: The important difference as a result of Gershon is that efficiency has moved centre stage in departmental planning and departmental agendas." Hmm. There were we thinking the important difference was the £21.5bn of additional SAVINGS Mr Brown promised us. 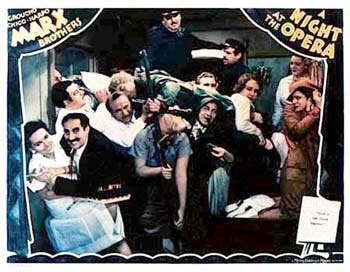 "Q539 Otis P. Driftwood (Groucho Marx): It's all right, tha-that's in every contract. Tha-that's what they call a sanity clause. Fiorello (Chico Marx): Ha ha ha ha ha ha... you can't fool me. There ain't no Sanity Clause." 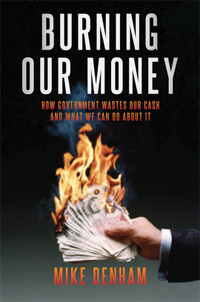 Public Pensions: Show Me The Money! Skates Debacle: What Did It Cost? Somebody Get That Bleedin' Phone! Taxpayers Of The World Unite! Gershon: PR Stunt Or Costly Delusion? "The Smoking Gun Of Database Fiascos"